Why the Syriza government will stay its go-it-alone course. Greek finance minister Euclid Taskalotos hails from a wealthy shipping and land-owning military family. Maybe Tsipras-Tsakalotos want to engineer the perfect socialist society and economy of their student days. Is Syriza a reincarnated Sinn Fein? Sinn Fein means "Ourselves Alone." Ireland's Sinn Fein and Greece's Syriza consider economic reality a chimera that a proud nation can simply wish away. Of course, the fact that the new finance minister hails from a wealthy shipping and land-owning military family doesn’t really fit the picture. But this is Greece, where appearances can be deceiving, especially when it comes to revolutionary firebrands. Worse, according to Greek newspaper reports, Tsakalotos’s own family wealth came from investments in companies made by financial institutions such as JP Morgan and BlackRock. Waiting in line for the most necessary commodity in the world – cash – is reminiscent of pre-1989 communist Europe’s queues for food. Greek prime minister Alexis Tsipras joined the Greek communist party after 1989 and his finance minister’s last book was published by Pluto Press, the veteran Trotskyist London publishing house. So far Greeks have drawn on millennia of stoicism and shown little anger. Syriza has been brilliant in channelling Greek discontent. Other than Europe, the target has been Greece’s old guard — PASOK and New Democracy. These two parties who held government power in alternating turns for a long time must accept much of the responsibility for the disastrous wrong turns of Greek economic management. Curiously, the first book Tsakalotos, who is now the finance minister, wrote was a defense of Pasok’s clientelism – as practiced by Andreas Papandreou. That must be seen as a troubling sign, once it becomes common knowledge in Berlin and the other European capitals thoroughly disillusioned by Greece. Taskalatos wrote his book after spending his twenties as a full-time Oxford student in the feverish university leftism of the 1980s when Margaret Thatcher was the prime target. To her detractors, she re-invented class war as she set about destroying Britain’s post-1945 social contract. Syriza is no less clientelist than the old parties and has used government power to reward its supporters. Currently, all metro and bus services in Athens are free and at night, the streets are full of young revellers. It is only as the sun rises that their grandparents begin queueing for money to buy some food for their sons and daughters left without work. Eighty-two percent of young Greeks voted No in Sunday’s referendum. They are not yet tied to ATMs or worried about their savings. But one day and soon, the Syriza fiesta will end. As regards to what Europe can do, the life of anybody who has wanted to throw Greece more than just a bare lifeline is being made difficult by the impossiblism of Tsipras and Tsakalotos. Their refusal to carry out real reform, like cutting the bloated Greek military budget, which pays for 1,300 tanks, twice as many as the Britiah Army has, or the act of calling European finance ministers “terrorists” as the ousted former finance minister Yanis Varoufakis did in the referendum campaign, has created a chasm between Athens and the rest of Europe. Maybe that is what Tsipras-Tsakalotos want as they dream of engineering the perfect socialist society and economy of their student days. Such dreams aside, there is another truly worrisome sign about the question of which Europe Syriza’s leaders really have in mind. Tsakalotos has found a new ally in Sinn Fein, the Irish nationalist party. Suitably enough, Sinn Fein means “Ourselves Alone.” And the last may well be prologue to what is about to unfold now. Tsakalotos addressed its annual conference in April. For Sinn Fein, the eternal enemy are the Brits – just as the Europeans are for Syriza. Sinn Fein’s founder and leader during the Irish War of Independence was Eamonn de Valera. He refused to accept any compromise with London and launched the Irish civil war against those ready to do a deal. He finally accepted reality and became president of Ireland, but with a backward-looking, autarchic economy that kept Ireland in poverty for decades. Is Syriza a reincarnated Sinn Fein? Does the spirit of De Valera, who wanted Ireland to have a strong church, reign over Greece — where Syriza refuses to make the wealthy Greek orthodox church pay any tax? As Greeks sweat in the sun to get out their euros, perhaps Tsakalotos can write a quick history of Ireland and the glories of standing alone. A land that for too long clung to a doctrine of no compromise, an unrelenting need for an external enemy (to blame and hate), and a preference to consider economic reality a chimera which a proud nation can simply wish away. 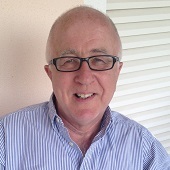 Denis MacShane, currently in Athens is a former UK Minister for Europe. A revised edition of his book Brexit: How Britain Will Leave Europe will be published next month by IB Tauris.